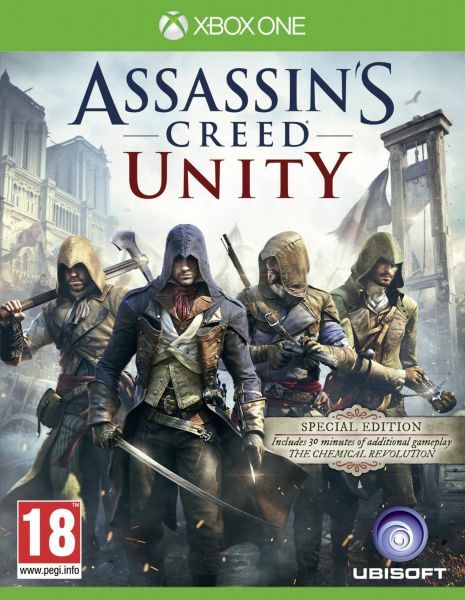 A ruthless new hero for a brutal world:&Play as Arno, an entirely new breed of assassin, more lethal than his ancestors. Take down your prey with a range of new weapons such as the Phantom Blade, a Hidden Blade with crossbow capabilities. Brand new parkour, combat, and stealth gameplay:&Enjoy an unprecedented degree of freedom and control over your assassin, brought to life by the new Anvil engine. Deep customisation mechanics to craft your own Master Assassin:&Craft your own unique play style by choosing your weapons, gear, outfit, and specialised skills. Mix and match from hundreds of possible combinations and build your stealth, fighting, and navigation abilities from a new expansive skill tree. Become the ultimate Master Assassin. Discover revolutionary Paris, brought to life as never before:&Carve your way through a stunning full scale open world city, a feat only possible through the power of the new Anvil engine.